(Nanowerk News) Developing materials suitable for use in optoelectronic devices is currently a very active area of research. The search for materials for use in photoelectric conversion elements has to be carried out in parallel with developing the optimal film formation process for each material, and this can take a few years for just one material. Until now there has been a trade-off, balancing electronic properties and material morphology. 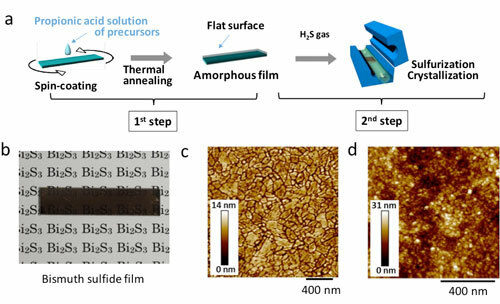 Researchers at Osaka University have developed a two-step process that can produce materials with good morphological properties in addition to excellent photoresistor performance. 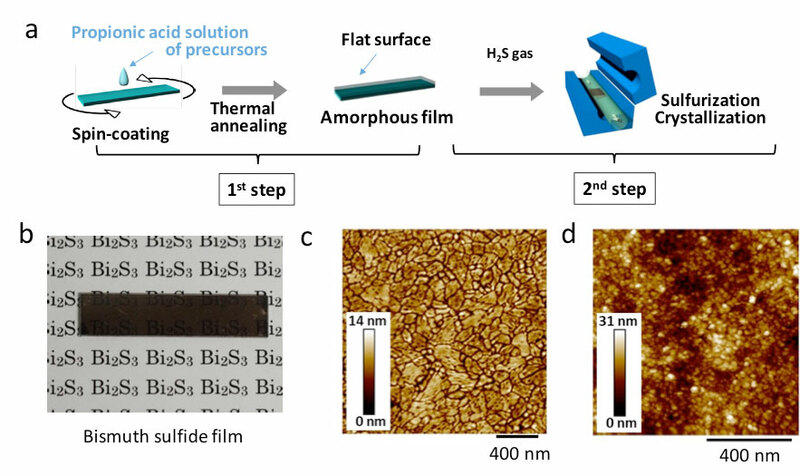 Their findings were published in The Journal of Physical Chemistry Letters ("Solution-Processed Bi2S3 Photoresistor Film To Mitigate a Trade-off between Morphology and Electronic Properties").